Call of Duty tackle a whole new era as Black Ops plunges you into the murky height of the Cold War and history 's most secretive battles . The world 's most popular first person shooter places you in the most dangerous conflict zones of the late ' 60s . From the jungle of Vietnam to the snowy wastes of the Ural mountains , you and your team must operate behind enemy line and using only the limited technology of the time . Luckily this includes air support such as the SR-71 Blackbird stealth plane , as well as deadly attack helicopters and armoured personnel carriers . Like any Call of Duty game the multiplayer will set the standard for all other console games , with enhanced customisation tools , playable vehicles and a revamped scoring system. Retro Warfare : Call of Duty explodes the myths of the Cold War as you join a team of Black Ops soldiers caught up in the fight against communism in Vietnam and beyond . Ammu-Nation : Use new special ammo including an explosive crossbow , Dragon's Breath flame rounds for your shotgun and a range of other period weapons . Twisted Metal : Take the controls of the iconic SR-71 Blackbird as you direct operations from high above or jump into an attack chopper in Vietnam for some close-up action . Online Perks : Create-a-Class 2.0 customisation tool lets you personalise your online battles even more , with new perks and revamped rules for killstreaks . 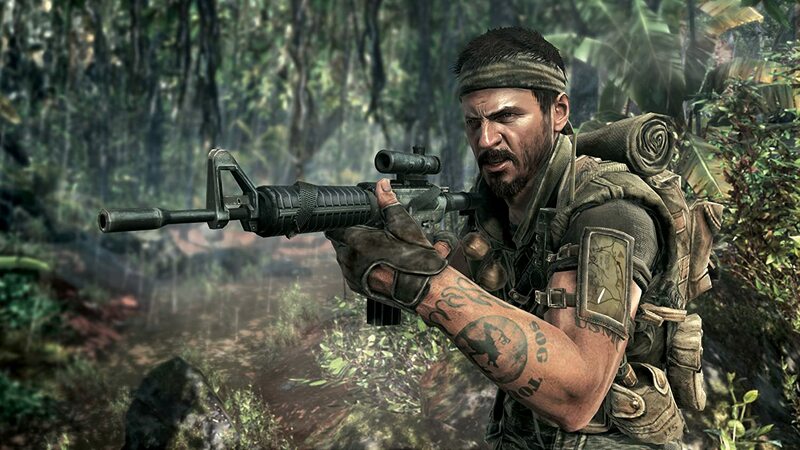 3 Responses to "Call of Duty: Black Ops PC Games Full Version ISO"
gan link nya dimana ya? ?